as second son of printer Karel Mortelmans. on the main field of honor at the 'Schoonselhof' cimetary. He was an outstanding, universal belgian musician and composer. of the end of the 19th and the early 20th century. In his book on Lodewijk Mortelmans, Dr. Jan L. Broeckx describes the composer's music as universally significant, timeless and cross-border. 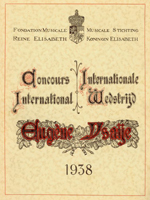 being also one of the founders of the International Contest Eugène Ysaye, the present Queen Elisabeth International Music Competition of Belgium. After completing his musical education at the age of 19, he studied composition and orchestration under Peter Benoit. In this same year, his first lied "De bloemen en de sterren" was awarded 1st price of the concours 'Vlaams-Hollands Tornooi' in Roeselare. In 1889 he already participated 'just to try' and obtained, together with Paul Lebrun, a shared Second Prix de Rome with his cantate Sinaï. He then was 21 years old. Although in 1891, he had to interrupt his participation due to illness. His symphonic work was received with enthusiasm during a Lodewijk Mortelmans festival, organised in Antwerp in 1899. From then on he was regarded as the indisputable leader of the Antwerp music scene. Lodewijk Mortelmans and Paul Gilson were the most important composers of a generation that breathed new life into Flemish music. "On april 17th 1899 a great concert took place in Antwerp where only works of Lodewijk Mortelmans under his conduct were performed. It were Helios, Mythe der Lente, Een lied van de smart, Salve Regina and Homerische Symphonie, all composed after his Prix de Rome. This concert confirmed definetively the reputation of Lodewijk Mortelmans. Joseph Dupont by the way, had already performed his 'Mythe der Lente' at the 'Concerts Populaires' in Brussels." With Lodewijk Mortelmans, Flemish music became more refined in form. He had an exceptionally rich personality, which was genuinely reflected in his music. In his art he strived to combine extreme formal beauty with great natural feeling. His songs, often using poems by Guido Gezelle, are among the most beautiful of the genre in all Europe. Lodewijk De Vocht, Marinus De Jong, Emmanuel Durlet and Flor Peeters. 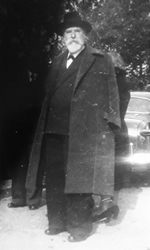 From 1901 to 1924 he was professor of counterpoint and fugue at the Royal Flemish Academy of Music in Antwerp, whose principal he became in 1924 and stayed until his retirement in1933. In addition to that, he lectured at the Interdiocesan School for Church Music in Mechelen, the present Lemmens Institute in Louvain. 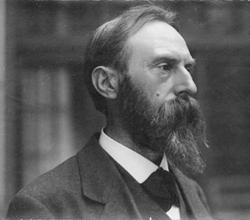 After the death of Emile Wambach on May 6th 1924, Mortelmans became the fourth director of the Antwerp Conservatory on September 6th of that year. Under Mortelmans' leadership, the number of pupils fell by about half: from 1,500 in 1924 to 740 in 1931. This can be explained by a concurrence of circumstances: the economic crisis, the higher taxes on live music in cafes and dance halls, as a result of which many operators opted for a mechanical organ or a turntable, the breakthrough of the sound film and also Mortelmans' striving for quality. In those days the directorship was mainly seen as a reward for eminent composers. Nevertheless, Mortelmans had to devote a great deal of time and energy to administrative matters. In a letter from Pol De Mont on 16 June 1926, he complained about the bureaucracy that killed every creativity: "Life demands of me, lonely, a great sacrifice. Composing? I'm so caught up in the wheels of the administrative machine that I don't know anymore if I've ever been able to compose or if I'm ever able to compose it again". 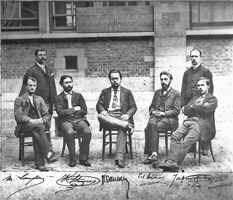 Mortelmans' most important merit as a conservatoire director was perhaps that he attached a great deal of importance to the symphonic conservatoire concerts. In May 1933, for example, he organised a three-day Brahms festival. It was one of his last activities as a conservatory director because that year he reached the age limit and was succeeded by Flor Alpaerts. In 1903, Mortelmans became the founding conductor of the Koninklijke Maatschappij der Nieuwe Concerten in Antwerp (Royal Society of New Concerts) and brought this orchestra at the musical top of Belgium. He managed to have famous musicians such as Gustav Mahler, Siegfried Wagner, Hans Richter, Richard Strauss and Sergei Rachmaninov to conduct his orchestra in Antwerp. Lodewijk Mortelmans conducted himself world famous soloists such as Pablo de Sarasate, Jacques Thibaud, Eugène Isaye, Pablo Casals and Fritz Kreisler. As a conductor he combined technical perfection with great musical feeling. During a successful tour in the United States of America (1920), Lodewijk Mortelmans was invited by Pablo Casals to become the conductor of a well-known Symphonic Orchestra. Some works were edited after agreements with Schirmer in New York and with Composers Musical Corporation. 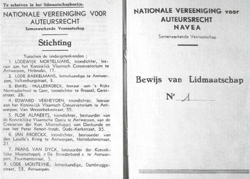 Lodewijk Mortelmans rejected this honorable offer, because during the war, in 1917, he had lost his wife Gabrielle Mortelmans and two of his sons, and therefor felt responsible for the education of his five other children. The trip started on the night of 29th of March 1921 from Antwerpen to Baltimore on board of the Nerviër (Shipping Company : Lloyd Royal Belge). The Cunard Line was choosen for the returntrip, whilst the crossing of these vessels due to conflicts is unsafe. On the 9th of june 1921 Misses Gabrielle Radoux, Daisy Jean and himself sailed of for Cherbourg aboard the RMS Saxonia on a ten days journey. From there on, they would travel home by train. In his correspondance he expected to be home in the Helenalei around the 23st. 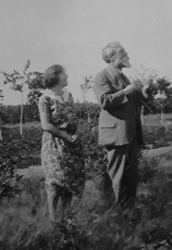 Lodewijk Mortelmans remarried on january 14th of 1922, with the pianist and musical pedagogue Gabrielle Radoux. and had the membership Nr. 1. Co-foundors of Navea are : Emiel Hullebroeck, Lode Bakelmans, Lode Monteyne, Edward Verheyden, Frans Van Dyck, Flor Alpaerts, Jan Broeckx. He was member of the Royal Flemish Academy for Sciences, Literature and Fine Arts. The late pianist Philibert Mees played for many years on this exceptional instrument. He bought the piano from composer and conductor Ivo Mortelmans, son of Lodewijk. The Mees family handed it over to our foundation. 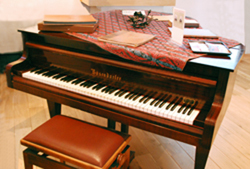 Today this piano is stored in the privat museum House Mortelmans in Antwerp, only 20m away from the house of the family Mortelmans. Dirk Schiltz, actual president of the foundation, is manager of this museum. After his retirement in 1933 Lodewijk Mortelmans lead a retired life in Waasmunster where he continued the composition of piano music, the orchestration of early Lieder, the arrangement of folk Lieder and the writing of a manual for counterpoint. 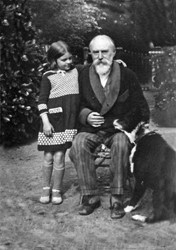 He travelled back and forth for years between his residence in the Helenalei and their countryhouse in Waasmunster. When there was no railcar from Linkeroever (Left Bank of the river Schelde in Antwerp), which sometimes occured, you could only make the long walk by foot (approx. 30km). Waasmunster offered him the chance to make long walks, where nature became his source of inspiration. He lived and worked there, with Gabrielle Radoux, where family came to visit them. "Around 1920 one day he catched pneumonia, because no railcar came along, and he had to wait in the cold on the left bank. Then, later, in 1952 he was ill for a while, first at his home in the Helenalei and finally at the hospital. After three weeks he died in the hospital, complete weakened, completely used up." 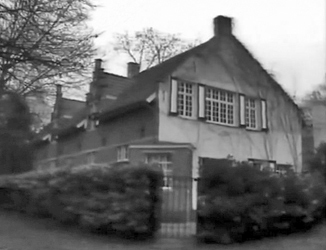 His brother Frans Mortelmans had his summer house in the village of Heide, on the borders of the Kalmthoutse heide. The gifted sculptor Josué Dupon was there his neighbour, whom had there too his summer house. Link Agenda: Sunday 24 JUNE 2012 : Regarding the 60th anniversary of the death of Lodewijk Mortelmans, a commemorative plate was placed on his house, Helenalei 17 in Antwerp, in presence of the Antwerp Alderman of Culture, Philip Heylen. 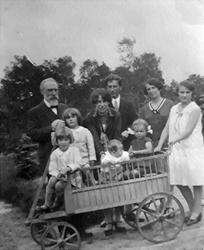 Photos below: House 'Het Patrijske' Waasmunster - Lodewijk Mortelmans, with daughter Holda, with Godchild Erica Schiltz and dog Bobby, and with daughter Frieda a.o. Lodewijk Mortelmans died on the 24th of june 1952 at the hospital "Sint-Camillus Gesticht", actually Gasthuiszusters, in Antwerp. He was widower of Mrs. Gabrielle Mortelmans, and husband of Mrs. Mevrouw Gabrielle Radoux. The funerary monument for Lodewijk Mortelmans is located on the large field of honor N of the Schoonselhof cimetary in Antwerp. - Burgerlijke Medaille van 1e Klasse van 1914-1918.